Step on it! To Refinish or Replace Wood Floors? There's nothing like the warm, classic allure of wooden floors. But even within this category there are many options, whether you're refinishing an existing wooden floor or installing a brand new one. Depending on the of your wooden floor and your own DIY comfort zone, you may be able to refinish your dull, scratched wood floor yourself. But before doing anything, make sure that your wood floor is actually wood, not wood- appearance laminate or engineered hardwood, which has a layer of hardwood over a plywood core. Once you determine you have authentic wood floors, confirm what type of finish is currently on the wood — urethane, polyurethane, wax, lacquer, varnish or shellac? The finish will need to be removed properly according to what type it is. Once the floor is stripped and ready to re-coat, you'll need to decide not only on the surface finish itself, but also on the sheen — the level of shine. Gloss sheens are the shiniest, reflecting the most light, while matte (or "flat") sheens offer the least shine. Semi-gloss and satin sheens fall in-between those two categories. It's important to take into consideration that the finish can change the look, feel and even function of a room, as can the shade of the finish. Darker tones, such as mahogany, can create a more formal atmosphere while lighter shades are associated with a more casual, natural look. When it comes to wooden floor planks, size does matter. While older homes tend to have the classic, narrow boards measuring 3/4" thick by 2 1⁄4" wide, today's homeowners are upsizing to floor boards that are 4", 5" or even up to 7" wide. Where can bigger be better? A smaller room might give the impression of a larger space with the installation of wider boards, simply because fewer joints are visible. Another decision you'll need to make is whether to purchase prefinished wood — wood planks that arrive with the stain and the topcoat already applied — or unfinished wood that will need to be finished after installation. 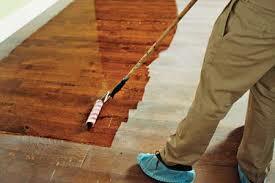 Pre finished wood is quicker to install, and allows you to see the final product immediately. On-site finishing, while it does take longer, allows you to have more control over the stain and sheen, and tends to be smoother as it is typically sanded after it is installed, and then finished as a single continuous plane. 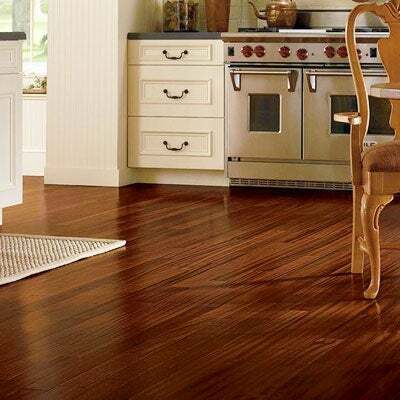 There is a plethora of flooring possibilities available on the market these days starting with solid hardwood versus engineered hardwood, sustainable options like bamboo and cork floors, and parquet flooring. And then there is choosing a shade... dark, light, natural? Talk to a flooring professional to explore all of your options!